It is Election day in America. This election seems different than many others with a lot of election stress being felt. 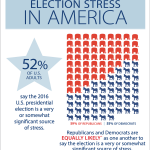 The American Psychological Association (APA) conducted a survey looking at how this election may be resulting in significant election stress for Americans. 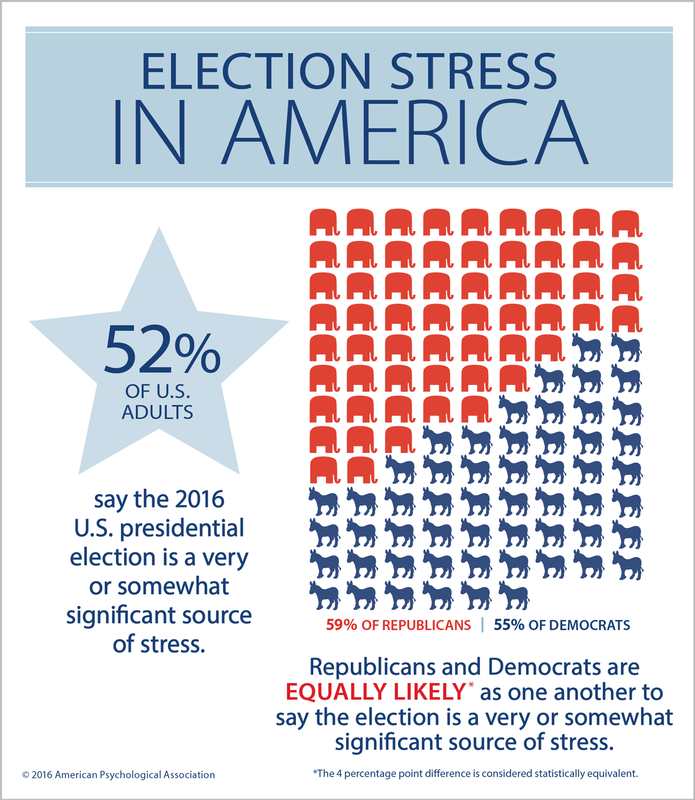 In particular, 52% of US adults were reporting significant election stress. Interestingly, both Republicans and Democrats were found to be equally likely to report the election as a source of significant stress. Stress and stress management have found to be significantly important to our well-being both psychologically and physiologically. Limit exposure to media to avoid the ups and downs and instead choose regular times to update yourself keeping in mind that you will not know the outcome until after the election is over. Fill your time with other fulfilling activities. Avoid discussing your political beliefs if there is a high likelihood of conflict arising. Be aware of how frequently you are discussing politics with friends, family members, or coworkers. Be aware of how your worrying about what might happen can lead to increased feelings of anxiety or stress. Work to remind yourself that this is not likely to be helpful to you and redirect your mind to areas that might allow you to have the greatest impact such as being politically active. Find reassurance in the three branches of our government maintaining some semblance of stability and avoid catastrophizing. It should be noted that many of these recommendations by the American Psychological Association reflect cognitive behavioral interventions which can soothe us but also at times cover up why we are having the feelings or thoughts. 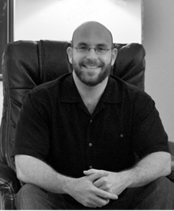 Dr. Davenport finds it can also be helpful in being curious as to the origins of the unpleasant thoughts or feelings. This curious exploration can allow us to see if there’s something helpful in the origin of these feelings or thoughts to understand as well. 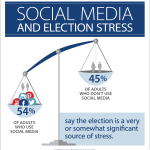 The current nature of social media and news media have us exposed to election stimuli much more frequently than in past years and the findings from the APA suggest that the increased exposure result in increased stress. 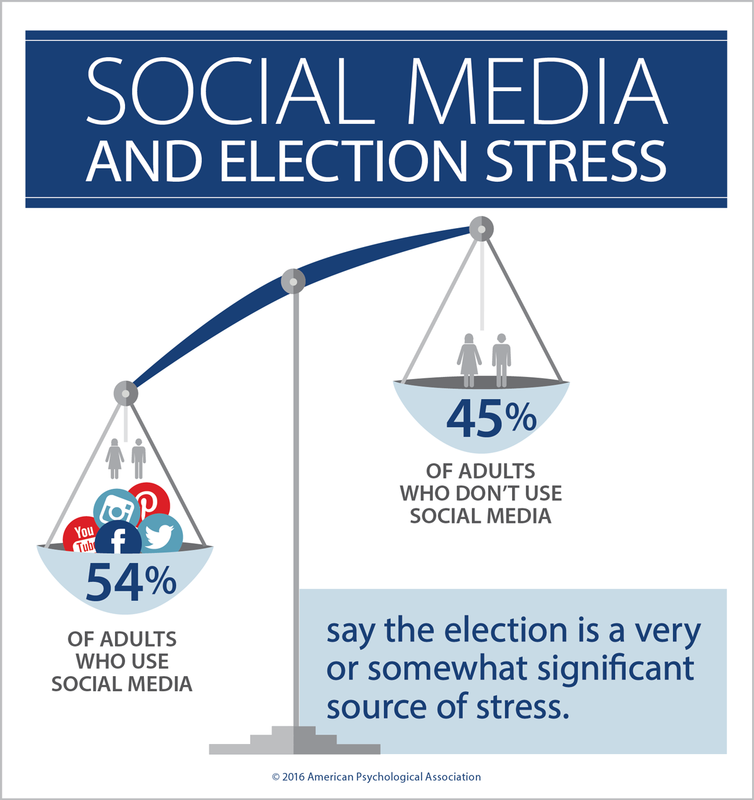 Social media exposure and increased rating of election stress. It is well accepted, in both the field of psychology and medicine, that there is a powerful link between exercise and stress. The federal government suggests a minimum of 150 min. of movement a week to maintain optimal health. However, you probably need more to most effectively combat stress. Dr. Edward Phillips, director of the Institute of Lifestyle Medicine at the Joslin Diabetes Center, says that people who spend more time exercising are less likely to be depressed or anxious. Despite there being a powerful pull to be told what is best for you, there is no exact science about how much exercise is best for beating stress. Frequently is powerful to find a balance between what we know is effective than others and listening to one’s own body for more personal feedback. one challenge in this is that when we feel depressed and is frequently hard to be motivated to do more. However, this can be overcome by scheduling days and times to be active while being mindful of how our body feels after the exercise and the day following. Additionally, it can be helpful to integrate a variety of exercises to maintain diversity and interest in the activities. In a study published earlier this year, Stanford University researchers found that people who walked in a natural setting for 90 min. or less likely to obsess over negative thoughts than those who walked for a similar amount of time in a metropolitan area.